The Foundation is reported to have sponsored between 70,000 and 150,000 students in 350 schools throughout the U.S. and South America. It has held several benefits to inspire charitable contributions. A 2009 benefit concert featured Paul McCartney and Ringo Starr and a 2013 event featured Dr. Oz and George Stephanopoulos. The Foundation also sponsors research on the TM program. According to the DLF web site, David Lynch Foundation for Consciousness-Based Education is a non-profit organization, established to "fund the implementation of scientifically proven stress-reducing modalities" for "at-risk populations", including U.S. veterans and African war refugees with post-traumatic stress disorder (PTSD), inner city students, American Indians, homeless and incarcerated men. The DLF also funds research to "assess the effects of the program on academic performance, ADHD and other learning disorders, anxiety, depression, substance abuse, cardiovascular disease, post-traumatic stress disorder, and diabetes". In 2005, the DLF announced the long-term goal of raising $7 billion in order to establish seven affiliated "Universities of World Peace" in seven different countries, to train students to practice Transcendental Meditation and become "professional peacemakers". DLF.TV is the Foundation's production wing and online television channel that provides video content and web casts. The Foundation is governed by a board of directors consisting of: John Hagelin, Jeffrey S. Abramson, Rona Abramson, Ramani Ayer, Robert G. Brown, Joni Steele Kimberlin, Arthur Liebler, and Nancy Liebler. As of 2011, the Foundation's board of advisors included: Russell Simmons, Gary P. Kaplan, William R. Stixrud, Frank Staggers Jr., César Molina, George H. Rutherford, Carmen N’Namdi, Ralph Wolff, Ashley Deans, Linda Handy, and Sarina Grosswald. Concerned about school violence and increasing stress and problems for students, David Lynch founded the DLF in July 2005 "to provide the [TM] program to schools". That year, Lynch, DLF president John Hagelin, and Maharishi University of Management researcher Fred Travis went on a lecture tour titled "Consciousness, Creativity, and the Brain". Tour dates included the University of Southern California, UC Berkeley, the University of Oregon in Eugene, the University of Washington, Emerson College, Yale University, and Brown University. In 2005, Lynch offered to fund (for-credit) peace studies courses at several universities with TM instruction being included in each course. By 2006, six public schools in the U.S. had been awarded $25,000 by the David Lynch Foundation. NEA Today described the DLF as an organization "which provides funding for students in grades 4 to 12 to learn Transcendental Meditation" and reported that DLF had "helped approximately 500 students and 50 teachers learn how to meditate and "about 1,500 more" were scheduled to learn in the fall. In October the Foundation withdrew a $175,000 pledge to a San Rafael, California, high school after the anti-separation Pacific Justice Institute threatened to sue for violating the First Amendment's Establishment Clause. That year Lynch assigned all of his proceeds from the sale of his book Catching the Big Fish to the DLF and the Foundation sponsored a presentation on the benefits of TM in education at the Harvard Club of Boston. Natural Health magazine reported in 2007 that the DLF had given $3 million in sponsorship to 20 U.S. schools located in the city of Washington D.C. and various states including Arizona, New York, California, Colorado, Connecticut, and Michigan. By 2008, the Foundation had funded TM courses for more than 2,000 students, faculty and parents at 21 universities and schools in the U.S., in addition to substantially higher numbers at schools overseas. That year DLF funded the TM program at two schools in Steamboat Springs, Colorado. A 2010 Wall Street Journal article reported that since 2005, Lynch had personally "donated half a million dollars to help finance scholarships for 150,000 students who are interested in learning transcendental meditation". The Jerusalem Post reported in 2009 that the DLF had "provided scholarships to more than 60,000 people interested in practicing Transcendental Meditation throughout the United States, Latin America, the Middle East and Africa." In 2011 the press reported that DLF had "raised millions of dollars" to finance the teaching of the TM technique to "150,000 people, mostly students, worldwide", including a "handful" of San Francisco’s public schools while an ABC News article reported the Foundation had sponsored "70,000 students for free in 350 schools around the world; 15 of them are in the United States." In 2012, The New York Times and other press reported that the DLF had expanded its programs to include other at-risk populations such as "veterans with post-traumatic stress disorder and their families, homeless people and incarcerated juveniles and adults". 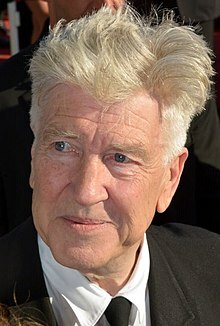 In April 2013, Lynch released the film Meditation, Creativity, Peace which documents his 2007 speaking engagements at European and Middle Eastern film schools in 16 countries. According to Lynch, profits from the distribution of the film would benefit DLF's meditation instruction for students around the world. The film was described by one reviewer as a "fragmented, self-important film noir". In recent years, the David Lynch Foundation has opened branches in a number of other countries including The UK, France, Georgia and Australia. With the goal of teaching TM to 1 million high risk youth, the Foundation sponsored the 2009 "Change Begins Within" benefit concert, held at Radio City Music Hall and hosted by Lynch and Laura Dern. Guest speakers and performers included Paul McCartney, Ringo Starr, Donovan, Moby, Eddie Vedder, Ben Harper, Paul Horn, Jim James, Bettye LaVette, Sheryl Crow, Angelo Badalamenti, Russell Simmons, Mike Love, Jerry Seinfeld and Howard Stern. The Foundation held its second "Change Begins Within" benefit event, titled "Operation Warrior Wellness", at the Metropolitan Museum of Art in New York in December 2010. Participants included Lynch, actor Clint Eastwood, designer Donna Karan, comedian Russell Brand and several war veterans. In April 2011, the Foundation launched David Lynch Foundation Music with their "Download for Good" campaign through PledgeMusic. Items available for pledges included collector's items from Shepard Fairey and original vinyl art created by Daniel Edlen which was signed by the donating musicians. In July 2011 the DLF released a fund raising boxed set of music and film. The compilation featured 34 artists, including Ben Folds, Donovan, Moby, Iggy Pop, Peter Gabriel, Tom Waits, Maroon 5 and Alanis Morissette with bonus tracks by Sean Lennon and Julio Iglesias Jr. and included the documentary film, Meditation, Creativity, Peace. In June 2012 Jerry Seinfeld hosted a DLF fundraiser called "A Night of Comedy" honoring George Shapiro which was held in Beverly Hills, California, USA. Performers and guests included Russell Brand, Sarah Silverman, Garry Shandling, Jason Alexander, Julia Louis-Dreyfus, Chris Rock, and Danny DeVito. In January 2013 DLF sponsored a benefit jazz concert in New York City. The program featured comments by TV hosts Mehmet Oz and George Stephanopoulos, and actress Liv Tyler. Musical performances included Herbie Hancock, Corrine Bailey Rae and Wynton Marsalis. In February, it sponsored another Operation Warrior Wellness fund raiser at the New York Athletic Club in New York City. In 2013 the DLF founded a "charity based music label" called Transcendental Music, to raise funds and awareness for its programs. In August, 2013 The Independent announced Russell Brand would raise funds for the David Lynch Foundation while on his "Messiah Complex" tour. In the fall, there were two fundraising events for New York City's first responders with post-traumatic stress disorder that featured celebrities Liv Tyler, Royston Langdon, Sean Lennon, and Hugh Jackman. Later that month, Jack White and Brendan Benson performed a charity concert for DLF at the Ryman Auditorium in Nashville, Tennessee. In an event described by Rolling Stone as "otherworldly" artists supporting the work of the Foundation appeared at the Theatre at Ace Hotel in Los Angeles on April 1, 2015. The evening, entitled "The Music of David Lynch", launched the DLF's tenth anniversary celebrations, and helped to raise funds to teach Transcendental Meditation to 1,000 at-risk youth in Los Angeles. Performers included Angelo Badalamenti, Chrysta Bell, Donovan, Duran Duran, Jim James, Julee Cruise, Karen O, Tennis, Twin Peaks, Kinny Landrum, Lykke Li, Moby, Rebekah Del Rio, Rob Mathes, Sky Ferreira, Wayne Coyne and Steven Drozd of the Flaming Lips, and Zola Jesus. On November 4, 2015, the Foundation organised a benefit concert at New York City's Carnegie Hall, "Change Begins Within", "to provide Transcendental Meditation instruction to 10,000 at-risk New Yorkers at no cost". Performers included Katy Perry, Sting, Jerry Seinfeld, Angelique Kidjo, Jim James, and Sharon Isbin. Rolling Stone quoted Perry as telling the audience, "I started TMing about five years ago, and it's changed my life." According to the DLF website, the Foundation's sponsorship encompasses programs for schools, military, homeless shelters, prisons and global outreach. The Foundation's web site says it focuses on school-wide instruction in Transcendental Meditation with the aim of improving educational and health outcomes. Its school programs, dubbed "Quiet Time", are voluntary, and require parental permission. According to the Foundation, the programs are offered to students and faculty at no cost to the parents or school. The Foundation has reportedly funded school programs in the U.S. cities of Washington D.C, New York City, Hartford CT, Detroit MI, San Francisco CA and in the countries of Brazil, Peru, Bolivia, Vietnam, Nepal, Northern Ireland, Ghana, Kenya, Uganda, South Africa and Israel. In 2007, DLF began sponsoring Quiet Time at Visitacion Valley Middle School, providing an annual grant that covers most of the $175,000 cost of dedicated staff to run the program, as well as supporting three other schools in San Francisco. As of 2007 another ten schools in the same San Francisco district were waiting to start the program. After studying the program, Carlos Garcia, school district superintendent, concluded that Quiet Time was a secular program that calms students and allows them to learn. DLF funded Transcendental Meditation courses for students at the Lowell Whiteman Primary School in Boulder, Colorado in 2008. In 2009, Church and State magazine reported that the Americans United for the Separation of Church and State had characterized the David Lynch Foundation's funding of Transcendental Meditation for public school students as undermining the constitutional separation of church and state. In 2011, music mogul Russell Simmons announced plans to provide financial support to the David Lynch Foundation to teach TM at Hillhouse High School in New Haven, Connecticut. In 2009 the DLF provided $120,000 to fund a Transcendental Meditation Club at the Tucson Magnet High School in Arizona, U.S. which had offered TM courses to 160 students, staff, and faculty as of 2010. In 2006 Lynch made a personal donation of $100,000 and the DLF inaugurated Operation Warrior Wellness (a DLF national initiative) whose goal is to teach the TM technique to 10,000 veterans with post-traumatic stress disorder and other war related ailments. Since 2010 DLF has contributed almost $1 million to sponsor TM courses for veterans and their families. The Transcendental Meditation technique's effect on post-traumatic stress syndrome (PTSD) is the topic of research at the University of Colorado and was the topic of a study published in Military Medicine in 2011. Other initiatives to teach the TM technique to war veterans who are at risk for PTSD are ongoing. The DLF sponsored TM technique instruction for students at Norwich University, a private military academy, as part of a long-term study on meditation and military performance. The DLF raises funds to cover the $500 per person cost of TM training for military personnel. According to Bob Roth, executive director of the David Lynch Foundation, the US Department of Defense is examining potential advantages of TM for veterans of Iraq and Afghanistan. In order to procure support from the US government, the Foundation is striving to teach 10,000 veterans, active soldiers, trainees, and their families. Recent research shows that regular practice of Transcendental Meditation technique enables some active duty service members battling post-traumatic stress disorder to reduce or even eliminate their psychotropic medication and get better control of their often-debilitating symptoms, researchers report in the journal Military Medicine. Transcendental Meditation technique shows marked efficacy in treating anxiety disorders says a meta-analysis of randomized controlled trials, "TM practice is more effective than treatment as usual and most alternative treatments, with greatest effects observed in individuals with high anxiety." And a meta-analysis says: "Differential effects of relaxation techniques on trait anxiety: a meta-analysis. Effect sizes for the different treatments (e.g., Progressive Relaxation, EMG Biofeedback, various forms of meditation, etc.) were calculated. Most of the treatments produced similar effect sizes except that Transcendental Meditation had significantly larger effect size (p less than .005)"
The DLF began a program in 2010, at a Van Nuys, California, youth shelter called Children of the Night. The David Lynch Foundation also produced the video "Saving the Disposable Ones", about the work of Father Gabriel Mejia and the Fundación Hogares Claret, dedicated to rescuing and rehabilitating homeless children in Colombia. According to the DLF web site, Father Mejia has founded 47 shelters for homeless children where thousands of young people practice the Transcendental Meditation technique. The Foundation now teaches TM to prisoners. DLF has donated for research on the effects of TM at the University of Connecticut and the University of Michigan. By 2008 the DLF had donated $5 million to research on the TM program. According to a 2009 press release on PsychCentral, DLF made plans that year to provide a $2 million grant to fund research on the "effects of the [TM] technique on ADHD and other learning disorders". In 2015 the David Lynch Foundation collaborated with Seleni Institute on the Seleni Research Award to create the Perinatal Mental Health Research Award, in support of research on Transcendental Meditation in treating perinatal anxiety. ^ a b c Schreiber, Dan (8 May 2011) San Francisco Examiner, Meditation program mends troubled Visitacion Valley Middle School. ^ "Contact". David Lynch Foundation. Retrieved 5 March 2013. ^ Hoffman, Claire (February 22, 2013). "David Lynch Is Back ... As a Guru of Transcendental Meditation". New York Times. Retrieved 5 March 2013. ^ Larsen, Peter (10 August 2005). "Tapping into TM: Filmmaker David Lynch wants to share with schools the benefits he says he's reaped from Transcendental Meditation". Orange County Register. p. Cover. Archived from the original on 2006-05-25. Retrieved 6 September 2013. ^ a b c David Lynch Foundation About Us. Retrieved 22 February 2012. ^ Hooper, Joseph (September 2011). "Meditation Nation". Details Magazine. Retrieved 29 August 2013. ^ "David Lynch Foundation Healing Traumatic Stress and Raising Performance in At-risk Populations". Retrieved 15 November 2013. ^ Wasserstein, Scoop, "David Lynch meditates on peace", Harvard Crimson (September 30, 2005). ^ Hoover, Eric, "Filmmaker starts foundation to help students chill out with Transcendental Meditation", Chronicle of Higher Education (July 21, 2005). ^ Yourse, Robin-Denise (March 26, 2009). "HBO pic on Clintons". Washington Times. ^ "David Lynch Foundation for Consciousness-Based Education and World Peace: IRS Form 990, Fiscal year 2008" (PDF). GuideStar. February 12, 2010. ^ David Lynch Foundation "Directors and Advisors. Retrieved 3 February 2011. ^ Springen, Karen, April 26, 2005, “The Magic of Meditation”, Newsweek. ^ Pierce, Elise, March 2006, “Are the Kids All Right?”, United Hemispheres. ^ Larsen, Peter (August 10, 2005) Orange County Register, "Tapping into TM". ^ Booth, William (December 2, 2005). "Yogi Bearer; Dark Films Aside, David Lynch Brims With the Light of Transcendental Meditation". The Washington Post. p. C.01. ^ Harmanci, Reyhan (November 6, 2005). "FIVE QUESTIONS FOR: David Lynch / Bliss and world peace, one campus at a time". San Francisco Chronicle. p. D.4. ^ Keefer, Bob (November 6, 2005). "Movie director takes cues from Transcendental Meditation". The Register-Guard. Eugene, Or. p. G.1. ^ GOODNOW, CECELIA (November 5, 2005). "DAVID LYNCH IS SPREADING THE GOSPEL OF MEDITATION". Seattle Post-Intelligencer. p. D.1. ^ Houpt, Simon (October 10, 2005). "From Twin Peaks to inner peace". The Globe and Mail. Toronto, Ont. p. R.1. ^ Wilson, Charles, December 11, 2005, “Accredited Bliss”, New York Times Magazine. ^ (May 2066) NEA Today, National Education Association, "Clear Your Mind"
^ Kirsten Wells, Denise (Sept 1 2006) Teacher Magazine, Take Your Meditation. ^ Californian Catholics against teaching of meditation in public schools, The Buddhist Channel, 6 August 2007. ^ Lynch, David, (2006) The Penguin Group) About the Author (last page of the book). ^ Linda, Marsa (July 1, 2007). "Eastwood and Lynch launch Operation Warrior Wellness to teach 10,000... Save Export Email Print Cite TM makes the grade: a Hollywood director is bringing Transcendental Meditation to kids, but they're not the only ones who can benefit from it". Natural Health. Retrieved 6 September 2013. ^ a b Conant, Eve (29 May 2008). "Much dispute about Nothing". Newsweek. ^ Fridell, Zach (14 December 2008) Steamboat Springs Pilot, Meditation Soothes Lowell Whitman students. ^ a b c "Filmmaker David Lynch Introduces Meditation to Veterans" Wall Street Journal, November 26, 2010. Retrieved 22 February 2012. ^ Cashman, Greer Fay (March 11, 2009). "Day Tripper Across the Universe. Ex-Beatles to unite to promote TM in schools around the world, including in Israel". Jerusalem Post. Archived from the original on March 29, 2015. Retrieved 6 September 2013. ^ Yellin, Steven (March 2009). "Meditation in the Classroom". Elevated Existence. ^ a b Strauss, Bob (June 3, 2011) Children of the Night Archived 25 February 2012 at the Wayback Machine Daily News. Retrieved 22 February 2012. ^ James, Susan Donaldson (November 29, 2011) Comic Russell Brand does stand up for Transcendental Meditation ABC News. Retrieved 5 December 2011. ^ Pember, Mary Annette (February 1, 2012) http://indiancountrytodaymedianetwork.com/2012/02/01/transcendental-meditation-combating-diabetes-in-indian-country-95133#ixzz1pVM3w4vp TM combating diabetes in Indian country Indian Country Today. Retrieved 18 March 2012. ^ Aleksander, Irina (18 March 2011). "Look Who's Meditating Now". The New York Times. Archived from the original on 22 November 2011. Retrieved 22 November 2011. Mr. Brand was the M.C. at a benefit for the David Lynch Foundation, an organization that offers TM at no cost to troubled students, veterans, homeless people, prisoners and others. ^ Hooper, Joseph (September 2011) Details, Meditation Nation. Retrieved 22 February 2012. ^ ”Russell Brand and David Lynch Bring Meditation to At-Risk Youth”. Look to the Stars/The World of Celebrity Giving. (http://www.looktothestars.org/news/9969-russell-brand-and-david-lynch-bring-meditation-to-at-risk-youth). April 4, 2013. Retrieved 7 April 2013. ^ Golumbuk, Morgan (October 7, 2013). "Borscht Stunds, David Lynch Gets Lost in Transcendental Translation". Miami New Times. Retrieved 13 December 2013. ^ a b Donaldson, Susan James, “Stars Mantra: Get 1M Kids to Meditate”, ABC News, 4-6-09. ^ The Hollywood Reporter "Change Begins Within at Radio City Music Hall – Concert Review". Retrieved 18 July 2009. ^ December 15, 2010, "Eastwood meditates to battle stress", The Gold Coast Bulletin (Australia). ^ December 13, 2010, "Celebs, war vets promote meditation" Agence France Presse. ^ Michele, Rita Di. "Introducing David Lynch Foundation's New Venture – DLF Music". Music Media Network. Retrieved 9 September 2014. ^ "Iggy Pop Autographed Vinyl Artwork At David Lynch Foundation Music". Iggy and the Stooges Raw Power. Retrieved 9 September 2014. ^ "FOUNDATION TO RELEASE BOX SET FOR RECORD STORE DAY". Goldmine. April 1, 2012. Archived from the original on May 12, 2014. Retrieved 6 September 2013. ^ Criblez, David J. (19 December 2012). "Seinfeld does two shows for Sandy victims". Newsday. Retrieved 22 February 2013. ^ "All that scary jazz". New York Post. 18 December 2012. Retrieved 21 February 2013. ^ "Comedy benefit to honor legendary Seinfeld producer George Shapiro". David Lynch Foundation. 23 May 2012. Archived from the original on 1 March 2013. Retrieved 22 February 2013. ^ Vilensky, Mike (December 14, 2012). "Meditating on Contrasts". Wall Street Journal. Retrieved 20 January 2013. ^ a b c Winter, Caroline (6 February 2013). "Transcendental Meditation May Help Stressed Vets". BloombergBusinessweek. Retrieved 22 February 2013. ^ Peterman, Mindy (June 18, 2013). "David Lynch's Transcendental Music label inspires new talent". Digital Journal. Retrieved 6 September 2013. ^ Williams, Holly (31 August 2013). "Heads Up: Russell Brand's Messiah Complex". The Independent. London. Retrieved 2 November 2013. ^ Staff writer (October 16, 2013). "Liv Tyler to team up with ex for rooftop charity gig". Seattlepi.com. Retrieved December 13, 2013. ^ WENN (October 16, 2013). "Spacehog - Liv Tyler To Team Up With Rocker Ex For Rooftop Charity Gig". Contact Music. Retrieved December 13, 2013. ^ Cohen, Stephanie (December 5, 2013). "Ohm For All". Wall Street Journal. Retrieved December 13, 2013. ^ Gold, Adam (December 19, 2013). "Jack White and Brendan Benson Revisit the Raconteurs". Rolling Stone. Retrieved December 19, 2013. ^ Staff Writer (October 8, 2013). "Jack White And Brendan Benson To Perform At Benefit Concert". RTT News. Retrieved December 13, 2013. ^ Tim Grierson (April 2, 2015). "Duran Duran, Flaming Lips Play Surreal 'Music of David Lynch' Tribute – Artists from Sky Ferreira to Moby offer electric interpretations of the director's soundtracks". Rolling Stone. Retrieved April 9, 2015. ^ "Change Begins Within 2015". Davidlynchfoundation.org. Retrieved 15 November 2015. ^ Grow, Kory (November 5, 2015). "Katy Perry, Sting Stun at David Lynch's Meditation Benefit Concert – Jerry Seinfeld, Angelique Kidjo, Jim James and others also perform and explain relaxation technique's importance to them at New York's Carnegie Hall". Rolling Stone. Retrieved November 14, 2015. ^ Nobori, Mariko. "A Bold Approach to Reducing Student Stress". Edutopia. Retrieved 14 November 2013. ^ David Lynch Foundation "Transforming Lives: The David Lynch Foundation". Retrieved 17 July 2009. ^ "Stress-free urban schools". David Lynch Foundation. Archived from the original on 15 September 2010. ^ "At-risk children in developing countries". David Lynch Foundation. Archived from the original on 15 September 2010. ^ Ehud Zion Waldoks, "School crisis? Send the kids to the corner – to count to 10 cross their legs and hum..." The Jerusalem Post 22 November 2007. ^ States News Service, February 22, 2012, “Risking peace at a troubled school”, San Rafael, CA. ^  Center for Wellness and Achievement in Education official website. Retrieved 16 February 2013. ^ Fridell, Zach, December 14, 2008, “Meditation soothes Lowell Whiteman students”, Steamboat Pilot and Today. ^ Levitating Over the Church-State Wall? Church & State magazine, June 2009. ^  New Haven Independent, 16 March 2011, Russell Simmons Brings TM to Hillhouse, Michelle Turner. ^ Kossan, Pat (April 8, 2010). "Transcendental Meditation Club draws student". Arizona Republic. Retrieved 21 February 2013. ^ Bender, Bryan, December 26, 2012, “Training cadets for war and (inner) peace: Study suggests meditation may help prevent PTSD”, The Boston Globe. ^  Archived 10 January 2013 at the Wayback Machine Operation Warrior Wellness official website. Retrieved 17 February 2013. ^ Don Vaughn. "Military Officer Association of America, Promise for PTSD". Archived from the original on 15 November 2011. Retrieved 6 September 2013. ^ Hankey, A (March 2007). "CAM and Post Traumatic Stress Disorder, Pub Med". Evid Based Complement Alternat Med. 4 (1): 131–2. doi:10.1093/ecam/nel041. PMC 1810367. PMID 17342251. ^ Unknown author (29 January 2013). "Transcendental Meditation technique reduces PTSD symptoms in U.S. Marines". News Medical. Retrieved 7 February 2013. ^  Wall Street Journal, Film Maker Introduces Veterans to Meditation, 26 November 2010. ^  Sydney Morning Herald, "Stars Hum Praises of Meditation's Healing Power", 15 December 2010. ^ Bender, Bryan (2 December 2012) Training cadets for war and (inner) peace; Study suggests meditation may help prevent PTSD, The Boston Globe (Boston, MA). ^ Vogel, Steve (May 4, 2012) VA tests use of TM for vets with PTSD, The Washington Post. ^ "Filmmaker David Lynch touts meditation for PTSD". AFP. Retrieved 13 April 2013. ^ David W. Orme-Johnson, Vernon A. Barnes (2014). "Effects of the Transcendental Meditation Technique on Trait Anxiety: A Meta-Analysis of Randomized Controlled Trials". Journal of Alternative and Complementary Medicine. 20 (5): 330–341. doi:10.1089/acm.2013.0204. PMID 24107199. ^ Eppley K, et al. (1989). "Differential effects of relaxation techniques on trait anxiety: a meta-analysis". Journal of Clinical Psychology. 45: 957–974. doi:10.1002/1097-4679(198911)45:6<957::aid-jclp2270450622>3.0.co;2-q. PMID 2693491. ^ "South - South News Father Gabriel Mejia Fundacion Hogares Claret". Black Tie International Magazine. May 2011. Retrieved 17 November 2013. ^  Archived 28 December 2010 at the Wayback Machine DLF official webs site, Global Outreach page, see the "Support the David Lynch Foundation—Center de Fundación Hogares Claret Project" article in lower right hand corner. Retrieved 11 April 2011. ^ Stein, Jeannine, March 17, 2012, “TM directs Lynch”, Los Angeles Times. ^ Nauert Ph.D, Rick and Grohol Psy.D., John (January 5, 2009) PsychCentral Meditation Helps Students With ADHD. ^ "Helping Mothers with Perinatal Anxiety Disorder". David Lynch Foundation. October 17, 2014. Retrieved 2015-06-16. This page was last edited on 15 April 2019, at 16:05 (UTC).